India announced the death of 39 of its nationals in Iraq, presumed to be killed by Islamic State militants. India has confirmed the deaths of 39 construction workers abducted by Islamic State militants (IS) in Iraq in 2014. 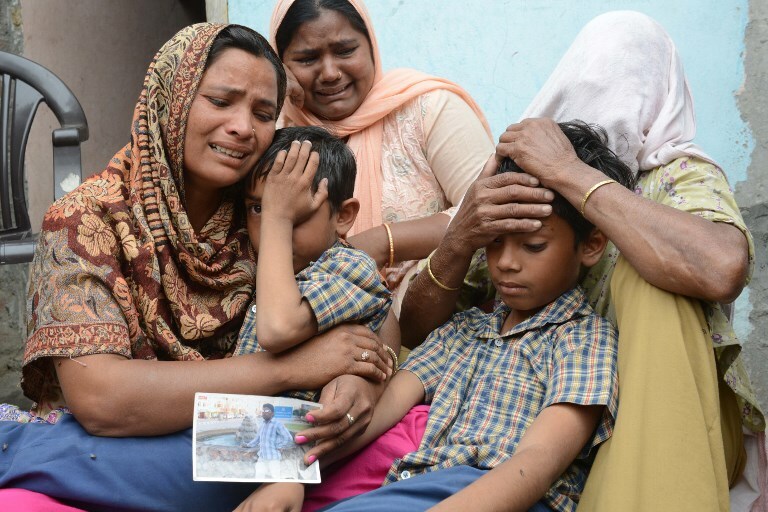 India’s Foreign Minister Sushma Swaraj announced the deaths in the Upper House of Parliament on March 20, making the loss even more tragic for the families of the dead who learnt about the fate of their loved ones on national television. While Swaraj claimed she was following protocol by informing Parliament first while it is in session, the government has been widely criticised for the insensitive manner in which the news was broken. Since the kidnapping of 40 Indian nationals in Mosul in 2014, the Indian government had maintained that the workers were alive, raising the hopes of their families. One of the Indians, Harjit Masih, had escaped soon after the men were captured. The bodies of all 39 individuals were exhumed from a mound in Badush village northwest of Mosul. The DNA samples of the kin of all the workers, except one, matched the bodies found in a mass grave in Badush. The 39th worker’s sample matched only 70 per cent. A majority of the dead hailed from the north Indian state of Punjab. Swaraj had earlier told Parliament that there was no evidence that the workers had been killed by the IS, even as the lone survivor, Harjit Masih, who managed to escape from IS captivity in June 2014, had informed the government that all 39 had been killed. “I had been saying for the last three years that all 39 Indians had been killed,” Masih, who made good his escape despite a bullet injury, told the media following Swaraj’s statement in Parliament. “I had spoken the truth,” asserted Masih, a resident of a Punjab village. However, Swaraj dismissed Masih’s claims during her statement in the Rajya Sabha. “He was not willing to tell me how he escaped,” she said. The opposition parties slammed the government for not informing the families of the victims first. A member of the Lower House of Parliament, Mohammad Salim, said it showed how “insensitive and inhuman” the government is. The Congress party has demanded government jobs for the kin of dead. “We are with their families in this painful and sad time…It is our demand that they should be given financial assistance by central and state governments and also employment in government service,” demanded Leader of Opposition in the Rajya Sabha, Ghulam Nabi Azad.